Chiropractic is a well-founded wholistic approach to adjusting the spine for neck, back and radiating pain relief. It does not involve medication or invasive therapies which can be an important consideration for many. Neck pain which also radiates into the arm is caused by various forms of abnormal neural (nerve) tension. carpal tunnel syndrome, a painful condition of the hand and fingers caused by compression of a major nerve where it passes over the carpal bones through a passage at the front of the wrist, alongside the flexor tendons of the hand. It may be caused by repetitive movements over a long period, or by fluid retention, and is characterized by sensations of tingling, numbness, or burning. repetitive strain injury, a condition in which the prolonged performance of repetitive actions, typically with the hands, causes pain or impairment of function in the tendons and muscles involved. tennis elbow, inflammation of the tendons of the elbow (epicondylitis) caused by overuse of the muscles of the forearm. What causes abnormal neural tension? Abnormal neural tension occurs when the nerve becomes caught or restricted anywhere along its path. This may include a restriction in the mobility of the neck joint, inflammation at soft tissue interfaces or muscle spasm around a nerve. Symptoms are nerve specific so it’s important to communicate to your chiropractor about any changes in the location and degree of your symptoms. Abnormal neural tension normally resolves with treatment most commonly of the neck or upper back joints where the nerve is exiting the spinal canal. Chiropractors do more than offer spinal adjustment to reduce pain and inflammation and restore full joint and muscle movement. These treatments may include: physical therapy, laser therapy, and non-surgical disc decompression therapies. While acute injury or trauma are obvious causes of neck pain, less obvious ones may include chronic poor posture or sleeping in a detrimental position causing a bad neck curve. Evidence shows that any deviation from normal will create stress on joints and muscles making you more prone to pain, injury, disc bulging, and arthritis. Loss of the normal posture and proper “C” curve in the neck can be key in causing neck and arm pain. 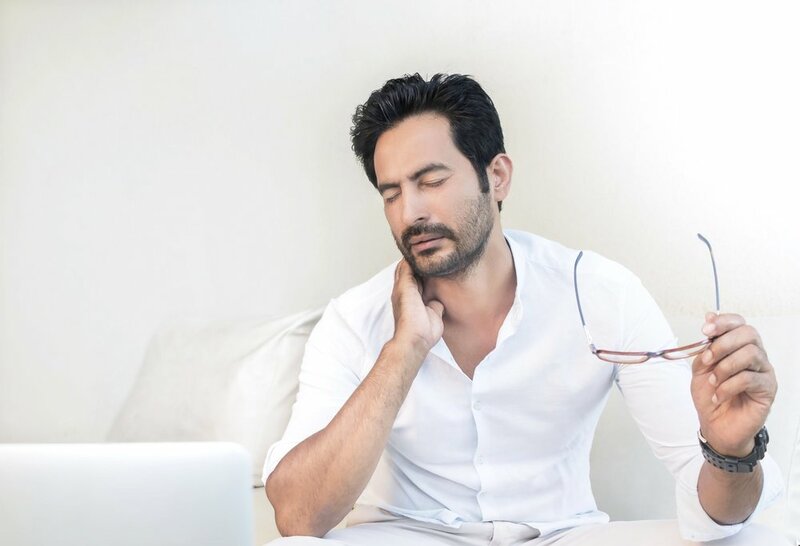 When neck pain radiating into the arm occurs as a result of one of the causes listed above, the pain is generally resolved completely with chiropractic care and the length of time it takes may be affected by how long you have had the symptoms. Within the first few treatments, however, you may notice a remarkable improvement. At Wagner Chiropractic, we want to improve the structure of your posture and neck by improving the stability of your spine. Once a patient’s spine is corrected we tend to expect a relatively long-term relief of pain and symptoms instead of using drugs or surgery to help the problem. Call us and lets get started with a neck exam and digital X-rays (lower radiation dosage) to evaluate why your neck problem is there.